Mints are one the most popular herb families on earth. Peppermint, spearmint, apple, chocolate, Egyptian, Moroccan, Corsican, ginger, pineapple, banana … it’s a long list and includes around six species that are endemic to Australia. The Mentha genus belongs to the Lamiaceae family, which includes other popular fragrant herbs such as bergamot, catnip, sage, rosemary and basil, plus the ever-popular flowering salvias. There are about 25 mint species originating in Eurasia, North America, southern Africa and Australia. Many have now naturalized in numerous other locations across the globe. Mint and mankind have long been known to each other. There are many biblical references to mint as well as mentions of it throughout the history of the ancient Romans, Greeks, Egyptians and Chinese. Growing mint plants is remarkably easy. Mint is found growing all over the world, so the trick becomes not how to grow mint, but how to thwart it. 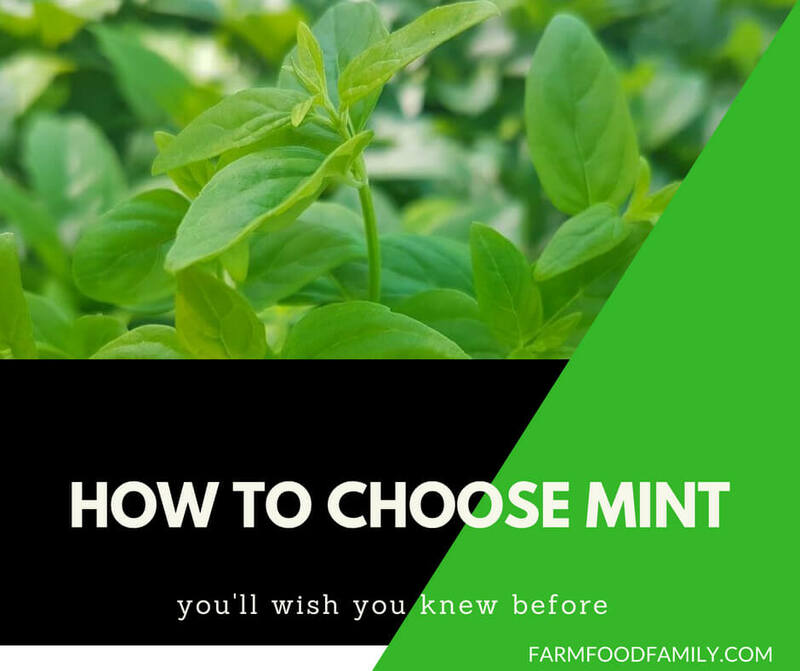 Mint has remarkable adaptability to various growing conditions. It can be found growing thickly (and quickly) in full sun, however it’s happiest (and most invasive) in a cool, moist setting with good, bright, filtered light. As long as the runners are contained, you’ll be in good shape. The aggressive part of growing mint plants happen just under the surface of the soil. These are the “runners”. Plant your mint in a pot and then bury about 2/3 of the pot where you wanted your mint plants to grow. The pot will act as a barrier to mint just growing wild over your whole garden. The square-ish stem and slightly hairy leaves of most mints is a hallmark of the Lamiaceae family, making it cousins of such culinary superstars as Basil, Sage, and Catnip. While there are ground cover mints, most range from 2 to 4 feet tall and offer small pink-violet flowers. All are herbaceous and all are perennial. Very perennial. Light: Full sun to full shade, variable by variety. Soil: average soil, and well-drained. Moisture: moderate to wet soil. The mint plant likes consistent moisture. Actually, this section is more about restraining the spreading nature of the mint herb; we don’t anticipate you having trouble growing it. Unless you absolutely, positively want it to go everywhere, we recommend growing mint in an open bottomed 5-gallon container in the ground, or with some sort of buried metal or wooden barrier suggesting the limit of where you want to grow mint. My folks grew it where we coiled the garden hose. The dribbling hose made the mint happy, the damage of getting smashed by the hose regularly kept it in check. It was a win-win. You can start from seed or a seedling with equal ease, and it is extremely divide-able, should your neighbor have a variety you particularly covet. Mint likes to grow in a sunny to semi-shaded spot with ample moisture. It will grow in a wide range of climatic zones but is often treated as an annual in colder climates, as it dies back over winter only to reappear when temperatures are favorable again. It can be very invasive because the plants send out stolons (runners), which spread far and wide, developing new roots and shoots at every node. Grow it in a container to keep it in check. Keep it in its own pot, too, rather than plant it with other herbs, as it would quickly overtake them. Prune your mint back when it becomes woody. Continual harvesting and regular watering are key, along with regular applications of fish emulsion and liquid seaweed. Whether you want contrast and pop or subtlety and texture, there are mints for you. Great color choices include ‘Chocolate’ peppermint, which offers subtle chocolate undertones, and ‘Pineapple’ mint has wonderfully variegated cream and green leaves and a sweeter, fruitier aroma and palette. These are some of the more popular and commonly found mints — by no means an exhaustive list. Flavor: Minty with undertones of apple and pineapple. Lovely for apple mint jelly. To 50cm and spreading. Foliage quite woolly and leaves a rounded shape and either plain green or variegated. Mauve flowers. Flavor: Minty with very strong undertones of banana. To 40cm and spreading. Foliage downy and bright lime-green. Growth a little less vigorous than others in Mentha genus. Purple flowers. Flavor: Sweet and spicy with aromas of Italian cuisine. 45–60cm. Upright growth habit. Purple flowers. Flavor: Peppermint with chocolate undertones. 60cm high × 60cm wide. Dark-green leaves with dark-red/purple stems. Lilac flowers. 5. Corsican mint, Mentha requienii. One of the smallest, only 1–3cm high. Tiny round leaves that grow flat like dense carpet. Will tolerate light foot traffic. Lavender flowers. Flavor: Lemon perfume/aroma that’s quite sharp. 45–60cm, spread 1m. Green leaves tinged with purple. Lilac flowers. Original source for eau de cologne fragrance and still one of the most fragrant mints. Flavor: Mild peppermint, similar to apple mint. To 90cm. Rare, with long, pointed, serrated leaves covered in fine silvery hairs, giving a silvery appearance. An ancient mint, used since the Pharaohs. Often thought to be referred to in the bible. Purple flowers. Flavor: Spearmint with undertones of ginger. 60cm high × 40cm wide. Erect habit. Leaves serrated, heartshaped and stems reddish. Lavender fl owers. A true “double mint” because has both active constituents, carvone and menthol. Flavor: Spicy, zesty Vietnamese mint flavor. 40–60cm high × 30cm wide. Bright-green thin leaves. Lilac flowers. One of the many Mentha x gracilis hybrids. Confusion with naming. Often confusingly named Mentha javanica. Note: this is not Vietnamese mint, Persicaria odorata. Flavor: Strong menthol with peppermint undertones. 60cm high × 1m wide. Leaves long, thin and downy grey-green. Purple flowers. Naturally grows in wet grasslands near rivers and lakes. Flavor: Sweet and minty, often combined with sugar and green tea to make Moroccan tea. 50cm high × 60cm wide. Bright-green soft-toothed foliage. Lilac flowers. To 30cm, spreading. Flowers white. The common old-fashioned mint most people grow in backyards. Flavor: Not to be consumed even in tiny amounts, especially by pregnant women. Known to cause miscarriage, liver and kidney damage, organ failure and even death. To 15cm, spreading ground-cover. Small glossy green leaves. Tiny mauve flowers. Traditionally used to repel fleas. Has toxic properties due to the active constituent pule-gone. Flavor: Spicy sharp taste, almost hot but cooling at the same time. Vigorous spreading mint. Foliage dark green, stems reddish. True peppermint, sterile hybrid that’s a cross between Mentha aquatica and Mentha spicata. Used for both culinary and medicinal purposes. 50–90cm high, spreading. Bright-green, foliage spear-shaped and serrated, highly aromatic. Pink or white flowers. As a true species, responsible for many other cultivars. Flavor: Peppery hot taste some think is similar to coriander. 30-50cm high, creeping herbaceous perennial. Aromatic leaves elongated and green with reddish-brown markings. Flowers small and pink. Used extensively in Asian cuisine. Not a true mint but included due to popularity. Weed potential in some areas. Paler green and lacks reddish stems. 70cm high × 1m wide. A popular bush tucker herb used in culinary dishes as well as teas, fragrant oils and more. White or mauve flowers. To 15cm. Dense ground-cover with small rounded leaves. Occurs naturally in Tasmania and southern Victoria. White flowers. Plant between stepping stones and pavers to release minty scent. Fungal issue appearing as yellow spotting on top of leaves and yellow orange rust pustules on undersides of leaves. May even cause defoliation. Certified organic eco-fungicide. To prevent, ensure mint is receiving enough sunlight and give regular applications of seaweed. Fungal issue appearing as grey mould on foliage and stems. Eco-fungicide. Prevent with ample light and regular applications of seaweed. Pyrethrum can be eﬀective if applied directly to insect. Prevent by covering plant completely with fine mosquito netting. Bacillus thuringiensis organic spray or pyrethrum — only as last resort. Or be prepared to share as caterpillars become butterflies or moths. Start root or stem cuttings either in a glass of water or in a cutting and striking mix. Seed can be unreliable. You may not end up with the same plant due to cross-pollination. In the kitchen, mint crosses over from savory to sweet with ease. Mix up mint sauce for a lamb roast or take it straight to dessert as peppermint ice-cream. Mint can be used fresh, dried and cooked. A key ingredient in Italian, Middle Eastern and Asian cuisines, it features in salads, drinks, pastas, chicken and seafood dishes, desserts, teas, as a garnish, in chewing gum, cakes and confectionery, and in mint sauce and mint jelly. Popular drinks such as mint julep, mojitos and the liqueur crème de menthe make refreshing alcoholic beverages. The flowers are edible, too, and come in a range of pinks, mauves, purples and white. CAUTION! One ground cover mint, known as pennyroyal and not looking as minty as other mints, is POISONOUS. Do NOT put pennyroyal in your herb garden. Mint has also been used for centuries for medicinal purposes, in aromatherapy and as an insect repellent. It’s thought to have a calming eﬀect, alleviate nausea and improve metabolism and digestive issues. Teas made from steeped mint leaves are perfect for helping to sooth headaches, settle upset stomachs, heartburn, nausea, even motion sickness! And mint is an absolute necessity in Mint Juleps, Mojitos, tabbouleh, and an almost endless listing of foods, candies, and drinks. In ancient times, mint was used as a room deodorizer; it was strewn across hard compact dirt floors where people would walk on it, releasing the oils and aromas. For oral hygiene, it’s used in toothpaste and mouth freshener. It’s a great companion plant as it not only repels bad bugs but also attracts good ones such as bees and butterflies. As a personal insect repellent, the foliage can be directly rubbed on skin. In aromatherapy, the essential oils menthol and carvone are valued. It can be used as an infusion and added to cosmetics and perfumes. Mint makes a good living mulch. We have some growing under our fruit trees to suppress weeds, protect roots from temperature extremes and curb erosion. Plus the flowers attract pollinators. We give it a mow or let the ducks and geese at it to stop it spreading.